Mystery-thriller author James Patterson gives back to the military in a big way. He tells how shipping 200,000 books wasn’t an easy task. World-renowned and bestselling mega author, James Patterson, recently donated 200,000 books to the U.S. military to show his appreciation for the sacrifice they make — a sacrifice, he says, which goes unappreciated. The author (best known for novels such as Tick Tock, Along Came A Spider and Kiss The Girls) felt inclined to spread the good word (literally) to our country’s service men and women stationed in Iraq, Afghanistan and other parts of the globe. Even though packing up 20,000 boxes worth of literature isn’t an easy task, Patterson said he felt inclined to donate the books because the troops aren’t getting as much support as they ought to. Patterson, along with the nonprofits Operation Gratitude and Books for Heroes, had to get 20,000 boxes of books from his printers in Indiana to Fort Benning, Georgia, and the Van Nuys National Guard Armory in California, from where they are shipped. The award–winning author went on to say that he never fails to be amazed by how intelligent members of the military are. “It is just stunning how bright they are about what’s going on, how involved, how committed, how smart — and you just never see those kinds of stories,” he said in an exclusive Newsmax interview. 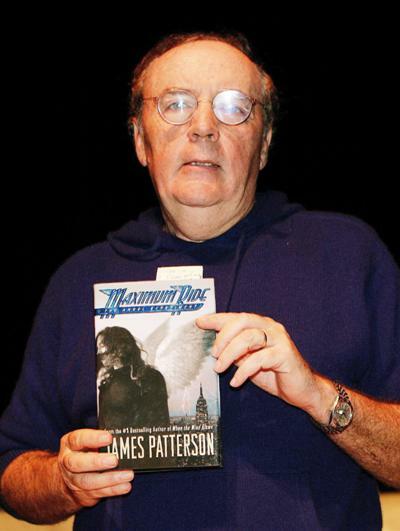 Patterson has sold more books in the last three years than any other author, and 19 consecutive titles have reached the top spot on The New York Times best-sellers list. His latest, Private Games, has just been knocked from the number one spot after three weeks. Another area Patterson says needs recognition? Reading amongst America’s youth. “As individuals, we cannot solve the health problem, we can’t solve the economic problems of the United States, but we can, in our own households, get our children reading,” stressed Patterson, who has a website devoted to the issue, ReadKiddoRead.com. It’s safe to say Patterson likes to give credit where credit is due and wants to keep Americans reading on the home front and overseas. Photos courtesy of David Livingston / WENN.